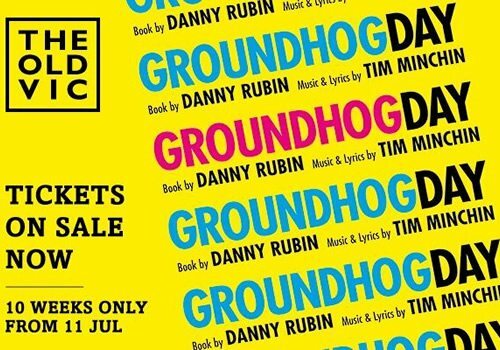 Matilda the Musical’s acclaimed creators Tim Minchin and Matthew Warchus reunite to bring long-rumoured Groundhog Day from screen to stage. Based on the 1993 film starring Bill Murray, Groundhog Day is an entirely new musical comedy, with original music and lyrics by Minchin. 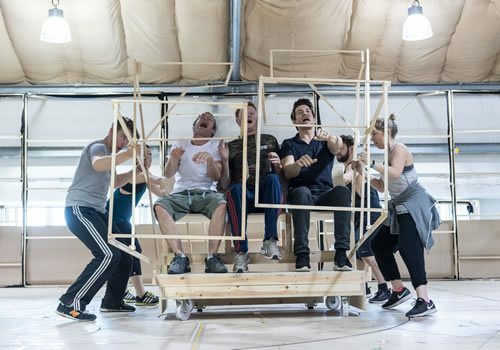 Groundhog Day begins in July at London’s Old Vic Theatre. With a book by Danny Rubin, Groundhog Day is the cult classic that follows a cynical Pittsburgh weatherman who is sent to cover the annual Groundhog Day event in Punxsutawney, Pennsylvania. Full of disdain for all of his colleagues, Phil Connors attempts to leave, but not before he and his co-workers are caught in a snowstorm and forced to stay an extra night. When he awakes, Phil gets a strong sense of déjà vu, before realising that he is reliving the same day again and again and again… Groundhog Day. Growing increasingly depressed, Phil decides there must be a lesson to learn which will break the cycle! 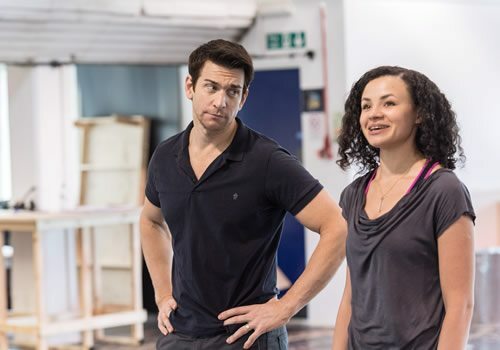 Broadway star Andy Karl is stars as Phil, with extensive stage credits to his name, including the original Broadway productions of On the Twentieth Century opposite Kristin Chenoweth, The Mystery of Edwin Drood, 9 to 5: The Musical, Legally Blonde and Jersey Boys. He was also nominated for a Tony Award for his title role in the musical adaptation of Rocky. Karl is joined by Carlyss Peer (Hamlet, A Midsummer Night's Dream), who will play Rita Hanson. 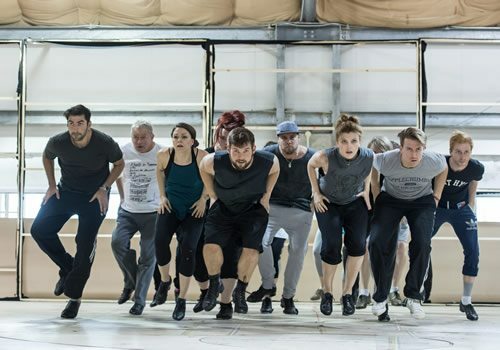 Further cast members include Leo Andrew, David Birch, Ste Clough, Roger Dipper, Georgina Hagen, Kieran Jae, Julie Jupp, Andrew Langtree, Vicki Lee Taylor, Emma Lindars, Antonio Magro, Carolyn Maitland, Kirsty Malpass, Lisa Mathieson, Eugene McCoy, Jenny O'Leary, Leanne Pinder, Mark Pollard, Damien Poole, Jack Shalloo, Andrew Spillett and Spencer Stafford. Groundhog Day includes choreography from the prolific Peter Darling (Matilda, Charlie and the Chocolate Factory, Billy Elliot) with design by Rob Howell, lighting design by Hugh Vanstone, sound design by Simon Baker and illusions by Paul Kieve. 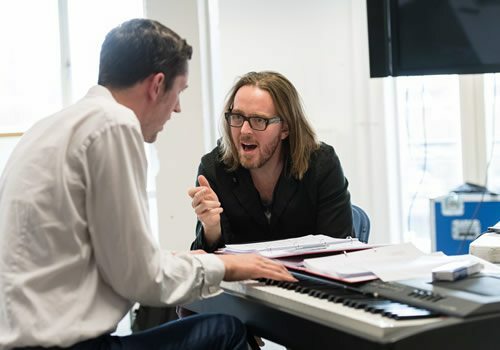 Warchus brings Groundhog Day to the Old Vic as part of his inaugural season as Artistic Director, with performances due to begin in July, playing until September 17th 2016. Don’t miss out on this entirely original, exciting new musical! Groundhog Day is packed with plenty of laughs, but may not be suitable for very young children.